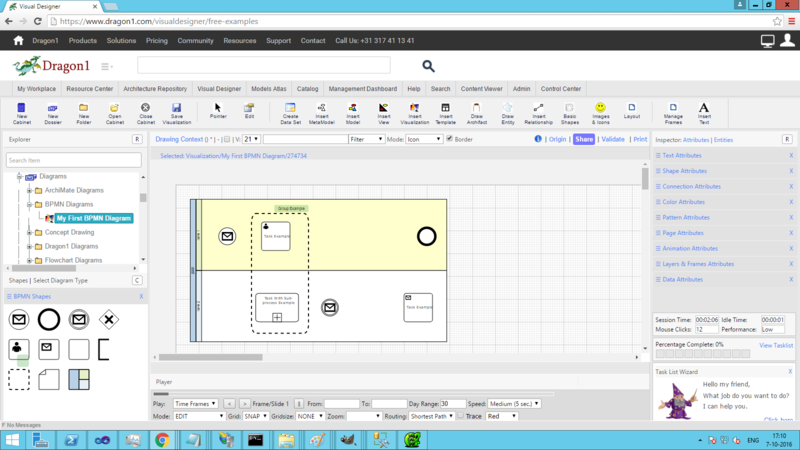 On Dragon1 you can create BPMN diagrams. These are diagrams for modeling business processes. This page is a tutorial for creating a very simple BPMN diagram or in other words a process model. BPMN is the world standard for modeling business processes. OMG is the owner of the specification. BPMN is an open source (free of charge) modeling language. 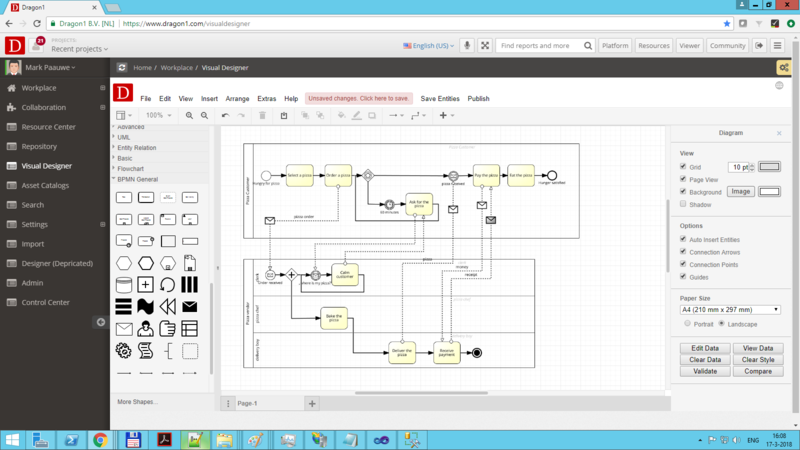 Select diagram type "Process Diagram - BPMN"
Example Screenshot of drawing the lanes. 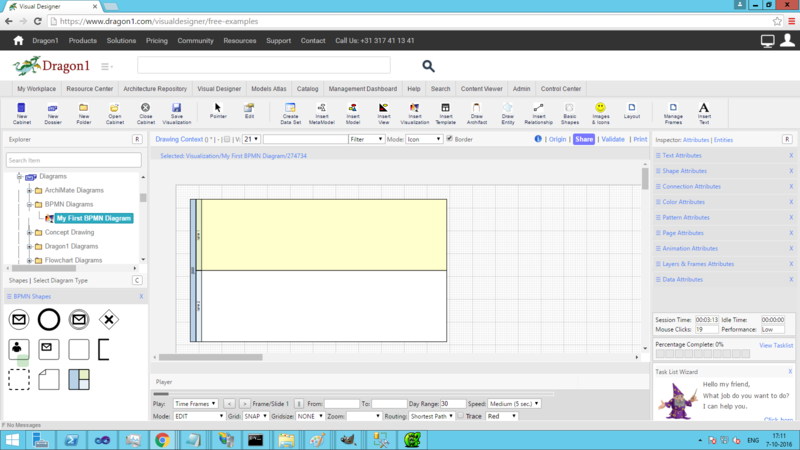 Example Screenshot of drawing the start and stop events. Example Screenshot of drawing the tasks. Example Screenshot of drawing the decisions. Example Screenshot of drawing annotations and relationships. The Object Management Group® (OMG®) is the international not-for-profit standards consortium. OMG has standards that are driven by end-users, vendors, government agencies and academic institutions. OMG develops standards for a wide range of technologies. Three well-known standards of OMG are the Unified Modeling Language® (UML®), Model Driven Architecture® (MDA®) and the Business Process Modeling Notation (BPMN®). Next to BPMN also XPDL is available. XPDL is a file format to store all details of the BPMN process definition notation in, including graphical descriptions of the diagram, and also executable properties. In XPDL you store a process in high definition, without any loss, and another product can import it to reproduce it as exactly the same diagram. Here is a link to the XPDL website.